Workforce Readiness means that a person has qualities and skills which are desired by an employer. As an intern or apprentice in the Cartersville City Schools, you have an opportunity to develop skills and grow your resume to make yourself a potential valuable employee. 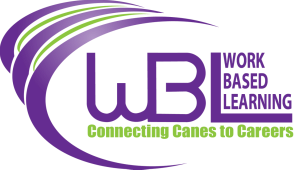 Each month interns and apprentices are responsible for submitting assignments to the school's WBL Coordinator. These assignments are designed to increase the overall quality of the student as a potential employee and build a portfolio of experiences that the student may use to promote their goals in college and career readiness. As you browse our site, keep in mind that we are always looking for community partners who can assist us in the building of our local workforce by serving as a mentor, a mock job interviewer, classroom guest speaker, or by serving on our Work Based Learning Advisory Council. If you have questions, suggestions, or concerns, please contact the WBL Coordinator, Ms. Shannon Boyer at 770-606-3320 or via email at sboyer@cartersville.k12.ga.us.